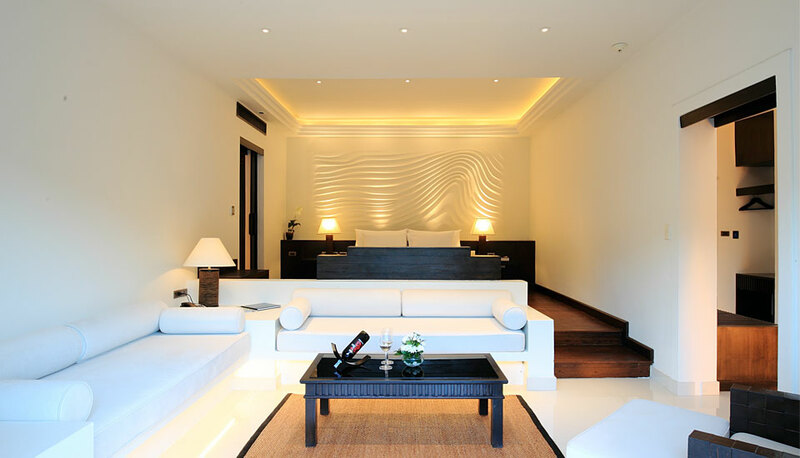 With a 35 Sq m sunlit infinity pool overlooking the Andaman Sea, Grand Pool Suites are among the most prestigious of accommodations at The Racha. 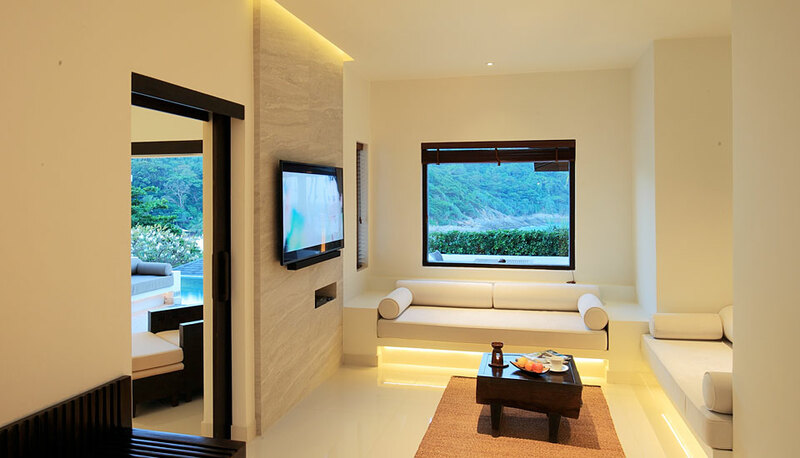 These large, airy suites offer unparalleled privacy and are situated on the prime elevated sites of the resort. 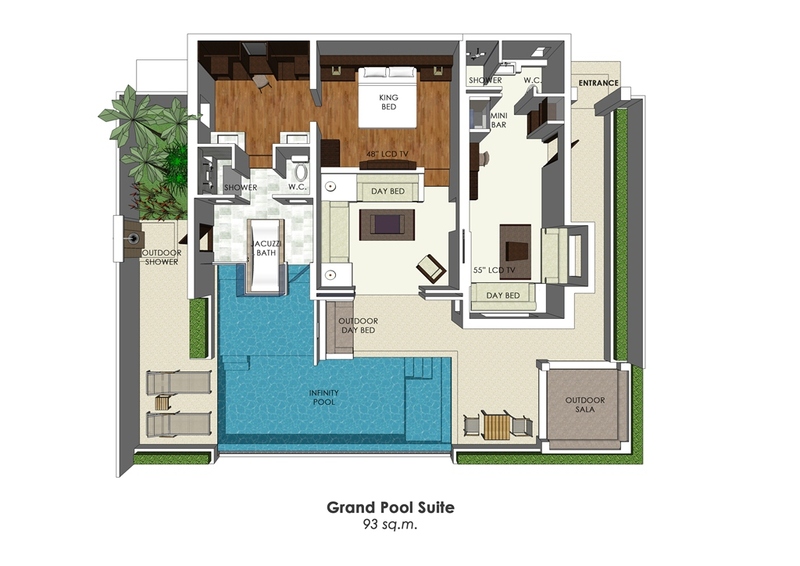 Expansive sea views can be had from the deep Jacuzzi tub in the bathroom as well as from the outdoor pavilion sundeck. 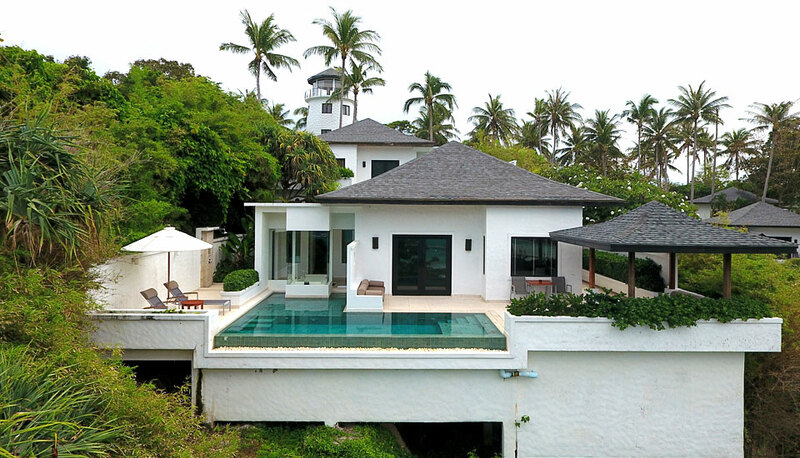 This is our most popular beachfront pool villa offering panoramic views of the Andaman Sea with unpararelleled privacy, just a few steps away from the beach. Soak up the views from the large sunlit infinity pool with underwater music and large private terrance. 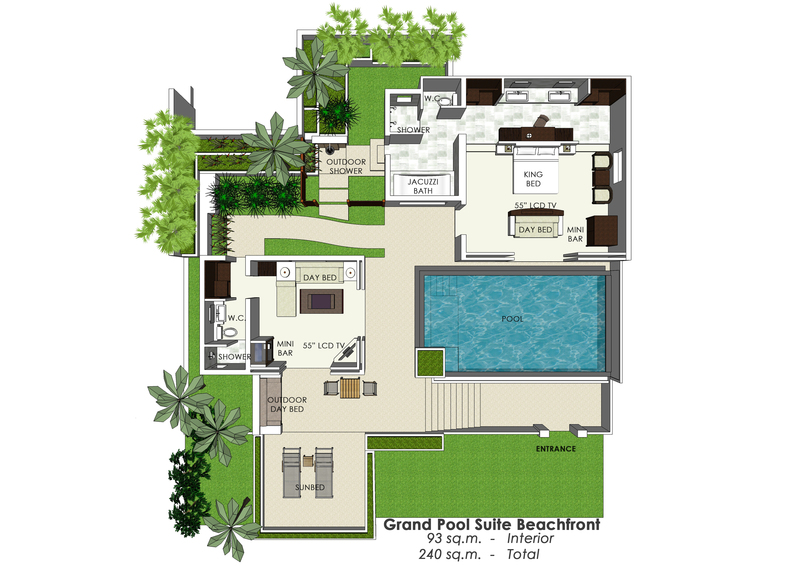 These villas feature a spacious master bathroom with dual showers and Jacuzzi bathtub and a second bathroom with shower, as well as an outdoor shower. 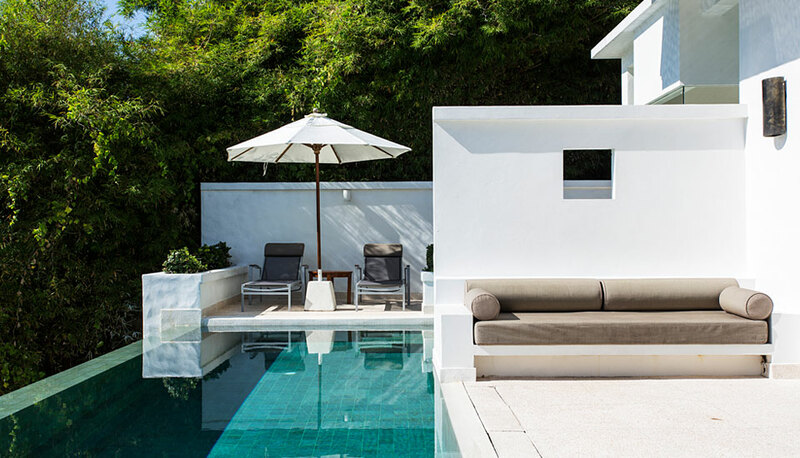 Lounging daybeds are positioned indoors and outdoors.